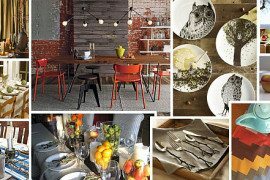 From dinnerware with clever motifs to beautiful organic materials, the dinner table is the place to unite these inspirational elements in coordinated fashion. 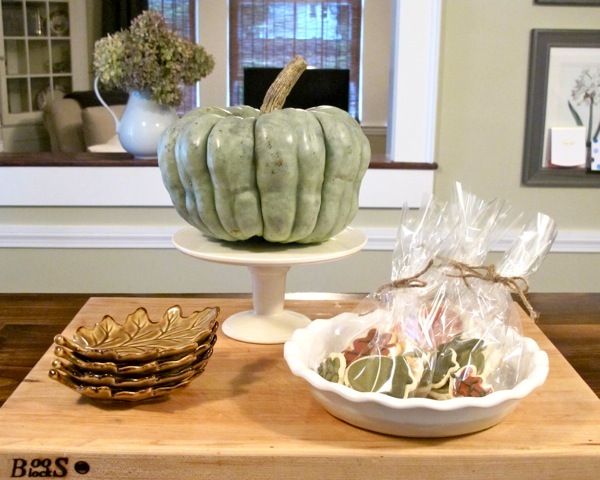 Create a centerpiece that your guests are sure to want to eat! 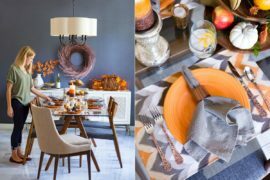 From fresh apples, oranges, nuts, and festive candies in orange, brown, and gold colors to displaying colorful gourds in unexpected greens, whites, and traditional orange, your dinner table is sure to be the talk of the evening. 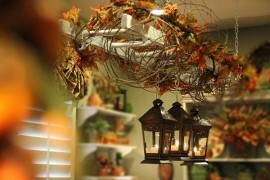 When entertaining this fall, remember the dining room table isn’t the only place to display beautiful decorations. The buffet table or sideboards are the perfect places to go for pizazz and gusto! For an eye-catching display use hurricane vases, tall decorative vases or even baskets to display long loaves of bread, tall branches or branches from your changing foliage trees in your yard. Remember it doesn’t have to be formal. 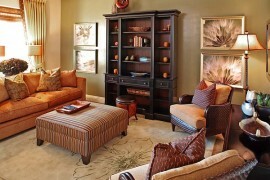 Fall is all about bringing nature indoors and celebrating the changing seasons with your friends and family. 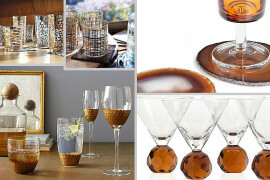 Create an evening to remember with seasonal place setting ideas that everyone will love. 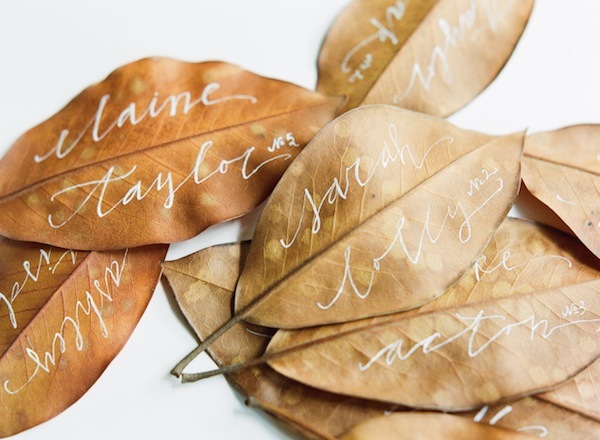 Take dried leaves and decorate each with your guests name with gold metallic pen. 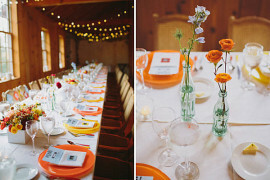 If you are having a large gathering with numerous tables, you can also list their table number on each leaf. Use smaller leaves for children, and use bare leaves to carry out the theme scattered around the dinner table. There is nothing better than your guests feeling like you remembered every little detail! When you think of dessert at a fall gathering you probably are only thinking about what to serve, but don’t forget about creating a fall themed table that draws in your guests. Dark browns, chocolate inspired colors married with beige, and natural colors are a great backdrop for your yummy desserts. 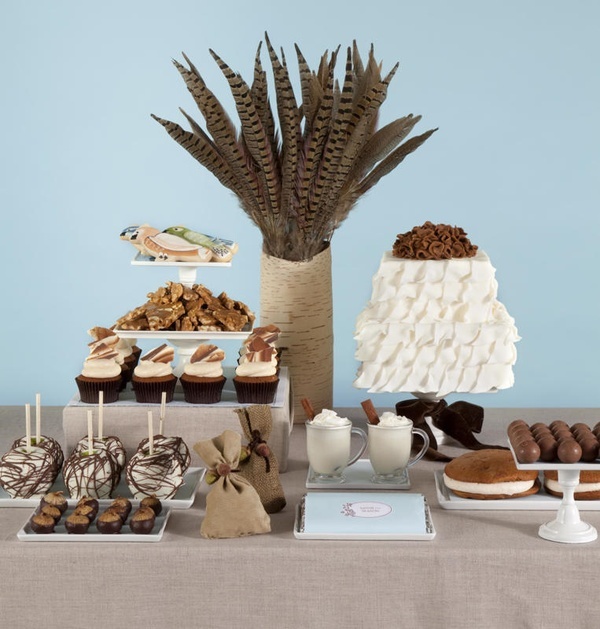 Decorate with a burlap fabric tablecloth and layer with napkins and dessert plates that compliment your delicious treats! 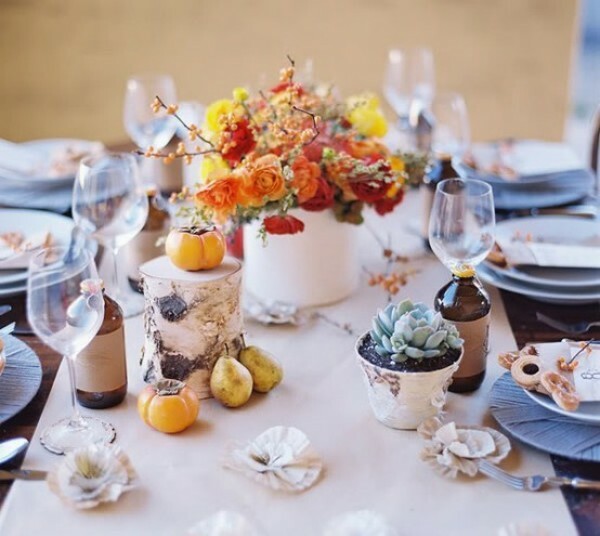 Create a fall desert table you’re guests will swoon over! 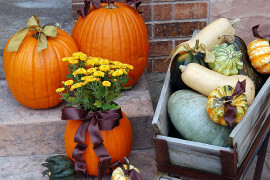 Are you ready to invite guests over this fall? Go ahead, get going on making your guest invitations and decorating. 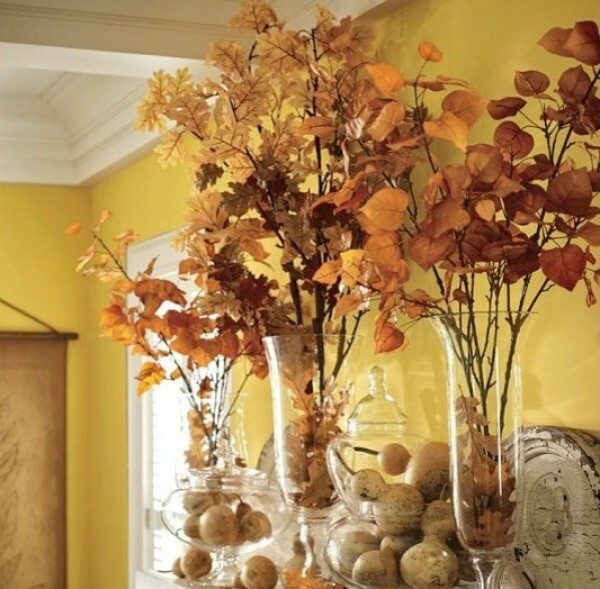 The beauty of fall decorating is that it can stay up all season. No worries that you aren’t entertaining, for those of you with a formal dining room. 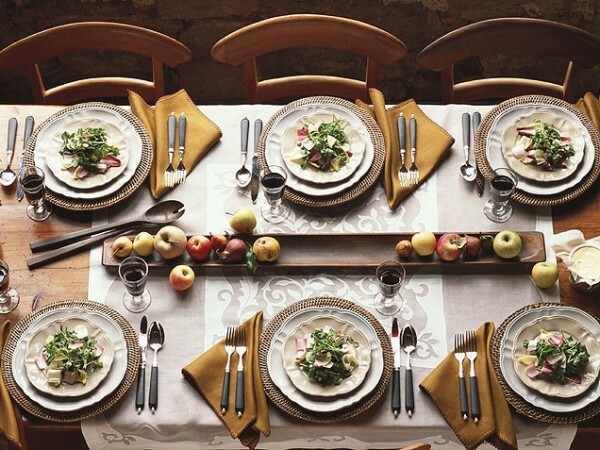 Decorate the table as if you are expecting a dinner party! 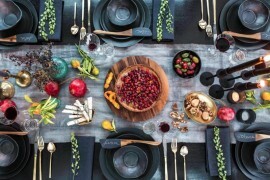 The beautiful colors, organic centerpiece ideas, and inspiring elements will create an autumn theme you will love throughout the entire season.